Let the People Protect the Forests! 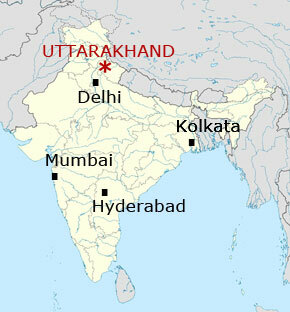 14 people died in forest fires in the North-Indian state Uttarakhand in April and May 2009. 4000 hectares burnt down, in those two months only. 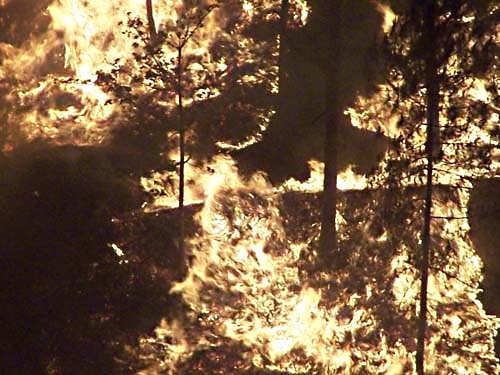 The Forest Department blames the villagers who don't take care when they burn their fields after the harvest. But the villagers know the officials do it themselves. 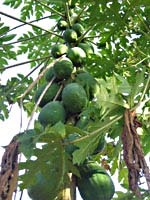 Because it is forbidden to cut and sell green trees. After the fire, the trees are considered 'dead' and contractors can start felling. When they first have bribed the officials, off course. The local organisation Himcon wrote a report about the forest fires in their state. Himcon cannot believe the villagers cause the forest fires. 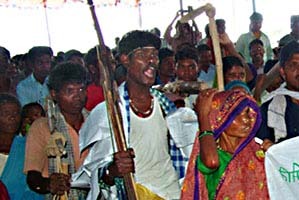 They are complete dependant of the forest for the fire wood, the fodder leaves and the grasses. Also the streams are drying up earlier when there has been a forest fire. 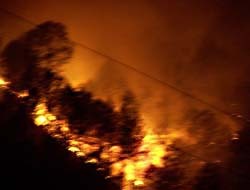 From the 14 people who died in the forest fires, 10 were villagers. Why should villagers kill them selves? 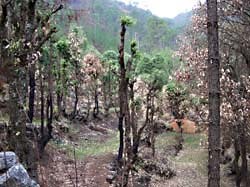 It is completely clear the Forest Department is not able to protect their forests against forest fires, but also not against illegal felling and poaching. Himcon proposes the Forest Department to let villagers protect the forests in good cooperation with them. 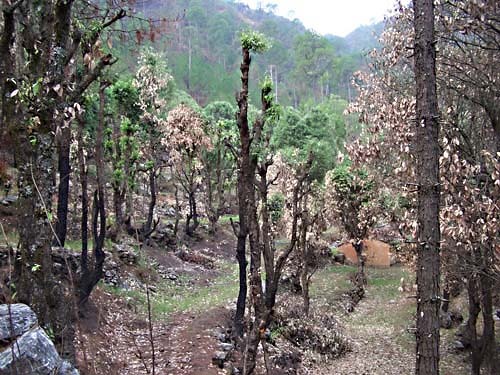 Some quotes from the Forest Fire report of Himcon: (page 9) "After 1995's massive devastation caused by forest fires in Himalayan states especially in Uttarakhand, Himachal Pradesh and Jammu and Kashmir, the government of India launched Integrated Forest Management Schemes. 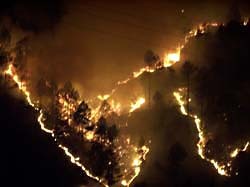 But it is an irony, despite the same climatic conditions prevailed in these states, maximum number of incidents of forest fires occurred only in Uttarakhand that clearly indicates mismanagement by the Forest Department to control the menace. 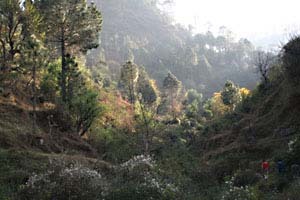 According to forest officials, the department showed expenses allotted for the scheme every year, only on paper. They neither followed stipulated norms nor standards of fire control." (page 10) "The Forest Department machinery was not engaged in any sort of the fire fighting exercise in the region. (..) Clearance of fire lines [were] done only on files, not at ground level. (..) The forest Mafia network is also very strong in the state and some corrupt forest officials are in close contact with them. These forest mafias burnt not only forest to take away wood logs, but also endangered wildlife of the region." 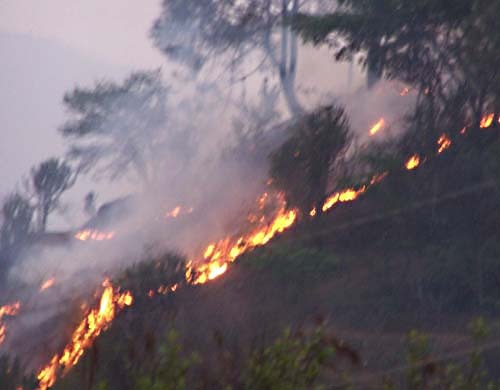 (page 10) "Local people realize that in the wake of a big forest fire in the surrounding forest, they have to devote more time and energy for firewood and fodder collection and further the water sources are going to be depleted. The villagers do realize these facts fully and therefore it is logical to assert that the villagers are not guilty in initiating these fires for they have nothing really to gain from them and their stakes are high in case fire breaks out."